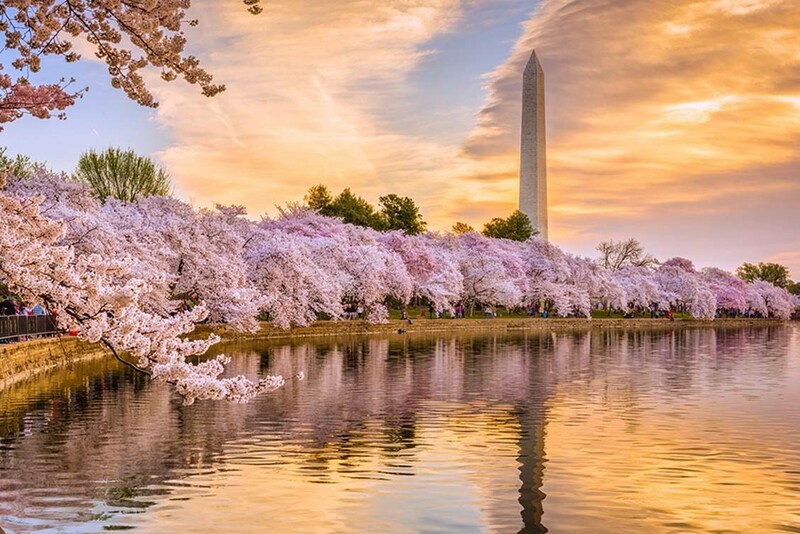 As the nation bids adieu to winter weather, Washington is welcoming the Cherry Blossoms and preparing for a busy summer ahead. In the last two newsletters, the Policy & Government Relations (PGR) department highlighted the why of what we do as well as the how behind our work. In our latest edition, we’re sharing what we are advocating for and how it relates to the great work YOU are doing across the country. President Trump’s March 11, 2019, release of his Fiscal Year 2020 budget proposal informally kicked off appropriations season. With the President’s budget in hand, and the partial government shutdown behind them, Congress has shifted its focus to drafting, debating and passing appropriations for the upcoming Fiscal Year (FY) which begins on October 1, 2019. If you are like most folks, those first two sentences might sound like a bunch of D.C. jargon. Fear not, we are here to explain what it all means and how it impacts you. While the president’s budget does not have the effect of law, it does have the capability of influencing decisions made by Congress. For example, for the past two years, the current administration has all but zeroed out funding for the Corporation for National and Community Service (CNCS). CNCS is the executive agency that oversees AmeriCorps and Senior Corps—two programs that are vital to maintaining the great service Jumpstart members are providing to their communities. Now, the PGR department knows that YOU know how vital CNCS funding is to Jumpstart and the communities you serve. However, that does not mean Congress knows. To that end, the PGR department teams up with other early education and community service advocates to meet with members of Congress and tell them. After researching the impact Jumpstart has in each Member of Congress’ district, we compile a one page overview specific to that district. Then we meet with the elected official, share the one pager with their staff, and demonstrate how devastating a cut to the program would be in their community. We highlight how many Jumpstart members serve in the community, how many preschools and early education centers we serve in, and perhaps most important, how many preschool students’ lives YOU impact annually. Lucky for us, the elected officials agree and have continued to support programs like AmeriCorps and Senior Corps without cutting funding. In addition to paying close attention to what is happening in Washington, the PGR department is also paying close attention to what is happening in your very own backyard. Why? Communities care about the policy decisions that impact them directly, and so do we. There are some exciting things happening today throughout the United States. Increased funding and access to early education are becoming national issues precisely because folks in your communities care about them. Take Kansas City, Missouri, for example, where years of open forums and planning has finally culminated into a referendum—a direct vote by the citizens of the city—with the potential to increase investment in the city’s early education programs. After learning of the plan from a local Jumpstart team member, the PGR department reviewed and endorsed the plan. The vote on the plan is April 2nd and the department is helping to get the word out. Just this week an “all hands on deck” alert was sent to alumni encouraging them to support the initiative. 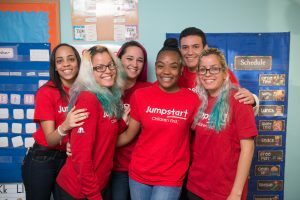 Our network has the capacity to reach former Jumpstart members and inform them about plans like this which will provide new resources to subsidize tuition costs for low-income families, provide professional development opportunities for teachers, and open new high-quality Pre-K centers. When you become a Jumpstart alum, you can take action like this to support early learning too! Our efforts to ensure critical Jumpstart funding is not cut, and even advocating for an increase, is only possible because of the service you provide. The positive impact you make each day allows the PGR department to demonstrate how much larger the return on investment is than the initial expense. Moreover, getting the word out to our network on important local initiatives also starts with you. After you have finished your service, you have the option to engage with the PGR department on local and federal policy. You can be the next Jumpstart team member to send us a great, local policy initiative that we can run with. Reach out to Mark Reilly and Brittany Walsh at policy@jstart.org if you have an idea to share or would like to join one of our policy working groups, and be sure to follow Jumpstart on Twitter, and keep your eye out for our alumni communications in the future.